"Were he were to be challenged again, Corbyn's would surely be beatable by a rival with the right pitch. Liberal-left values, anti-Brexit, preferably without baggage from the New Labour years. Lewis, who only entered parliament in 2015, is ideal." After yet another front-bencher resigned - having refused to follow Corbyn's ill-advised three-line whip supporting Article 50 - punters rushed to back the troubled Labour leader for an early exit. From [1.8] when tipped a fortnight ago (56%), Corbyn was backed down to [1.14] to leave post before the next general election. That equates to an 88% likelihood. He was even backed at [3.1] (32%) to be gone by the end of March. Although these odds have since drifted to [1.35] (74%), the logic behind such a bet is obvious. Unless Theresa May engineers an early election - not a straightforward move nowadays, due to the Fixed Term Parliament Act - Corbyn would need to survive for another three years. This despite catastrophic personal and party ratings, languishing double-digits behind the Tories - compared to being ahead at the same stage of the last parliament. Corbyn would need to survive with increasingly few allies. The special significance of last night's resignation was that Shadow Business Secretary Clive Lewis was an ally who loyally supported Corbyn during last year's attempted coup. The 45-year-old former soldier is often mooted as a potential replacement. Indeed, I've been advising bets on him since last July when available at odds of [26.0]. In the wake of his resignation, there are no such fancy odds around. At [5.7], the Norwich South MP is clear favourite. In order to understand why, we need to look back at a couple of tumultuous years for the party. The historic election defeat of 2015 panicked the entire movement. Labour had been mostly united under Ed Miliband's leadership. Most MPs and members were happy with the direction of travel. They were moving on from the ruinous Blair/Brown feud and catastrophic Iraq war. Under Miliband they were ahead or level in most polls. The party thought they could win or at least get something out of a hung parliament. When the Tories won an overall majority, the shock prompted collective madness. MPs, fearful of UKIP stealing their core voters by playing culture wars, started to think the unthinkable. That the party of the welfare state should back welfare cuts. That the party of internationalism should compete with Nigel Farage over immigration. To members, motivated by principles rather than keeping their jobs, to even consider such tactics was a betrayal of core values. It confirmed suspicions that the PLP was indeed a cynical electoral machine, detached from the politics of their base. Into that mix came three uninspiring leadership contenders, all of whom were former members of Blair's cabinet, voted for Iraq and now planned to abstain on welfare cuts. A desperate grassroots reached out to alternatives. Online campaigns begged Lisa Nandy and Keir Starmer to run, to no avail. Then suddenly an ageing backbench rebel, whose ideological purity was never in doubt, entered the fray. Jeremy Corbyn's straight-talking, clear political message made a refreshing change to an audience sick of spin and triangulation. It inspired hundreds of thousands to join the party. That the PLP - particularly the hated 'Blairites' - were so horrified and antagonistic, helped fuel the numbers. It was an early signal of the anti-establishment trend sweeping Western politics. That dynamic was still in play when rebel MPs launched their transparent, opportunistic coup in the wake of the EU referendum. Most stupidly, rather than choose a heavyweight prepared to challenge Corbyn's politics, they united around the unknown, unimpressive Owen Smith. When this former corporate lobbyist positioned himself as a Leftist, nobody was convinced and the membership duly re-elected Corbyn on a 62-38 margin. We will never know if someone else would have fared better - Chuka Umunna or Tom Watson, for example. I've always reckoned they would. Rather than the ludicrous Westminster Village mantra that the party has been taken over by Trotskyites, members might find they shared more in common with MPs if they were presented with one who could communicate with them. Labour people do want to win but felt that endless rehashing of New Labour tactics was repellent and an electoral dead-end. Post-Brexit, the narrative has finally moved on from the Blair years. 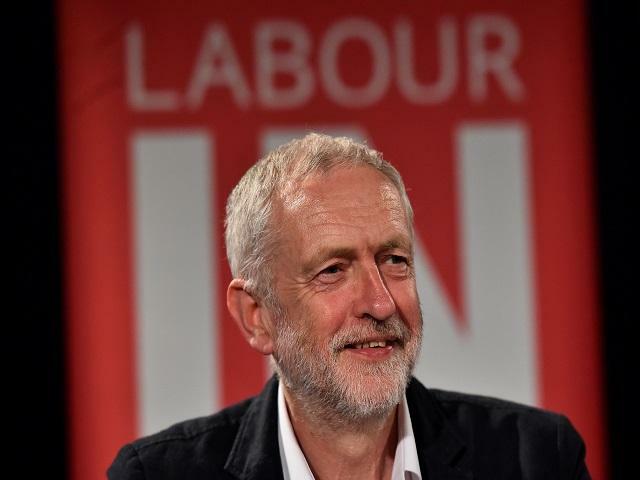 Now, it is Corbyn's lukewarm defence of EU membership that is at odds with the grassroots. 81% of party members voted Remain, along with around two thirds of Labour voters. Across England, they are losing council seats to the Lib Dems who, in contrast, have shown clear opposition to Brexit. Corbyn, whose handling of Brexit has been widely derided ever since June 23rd, is not providing the leadership those 81% of members want. His latest tweet on the subject has already gone viral, prompting either amusement, derision or fury. Real fight starts now. Over next two years Labour will use every opportunity to ensure Brexit protects jobs, living standards & the economy. Were he were to be challenged again, Corbyn's would surely be beatable by a rival with the right pitch. Liberal-left values, anti-Brexit, preferably without baggage from the New Labour years. Lewis, who only entered parliament in 2015, is ideal. Whilst similarly on the Left, the media narrative would be more favourable than the endless abuse Corbyn receives. Rather than 1980s left-wing factionalism, he would be defined as the first black party leader and opposition to Brexit. As a former soldier, few would dare question his patriotism or security credentials. Plus, unlike Corbyn or John McDonnell, Lewis seems able to reach out across the party. For months, I've noted MPs that were hostile to Corbyn saying favourable things about Lewis. Even uber-Blairite commentator John McTernan - whose recent life has seemed to revolve around abusing Corbynistas on Twitter - respects Lewis. He is someone they can work with. As discussed in the aftermath of his election, the best scenario for Labour was that Corbyn would be a transitional figure. Enabling the party to move on, whilst building and energising a movement, before handing over to a younger, more electable alternative. For now, the question remains when and how Corbyn might be removed. My instinct is that the by-elections will prove decisive. Two defeats and he will be forced to resign. Two victories and he might stagger on, even without hardly any supportive MPs. Several names will be mentioned in any leadership contest. Starmer is the current second favourite, while Nandy retains a big following. Another ex-soldier, Dan Jarvis, is rated on the Right of the party. There has been some money for another young socialist MP - Rebecca Long-Bailey - after last week's outstanding Question Time debut. That shows just how quickly a new face can emerge in a party facing an existential crisis. However before planning for a big field, remember the timing. To engage in an inward-looking leadership race whilst Brexit negotiations are ongoing might further alienate the public, re-enforcing Labour's lack of seriousness. I can envisage MPs from both sides of the party coalescing around a unity candidate. By resigning yesterday, Lewis became the story and with it, the front-runner. He is fast becoming the media's defacto alternative Labour leader. That publicity is priceless.